Première installation solaire en service pour Mada Green Power ! 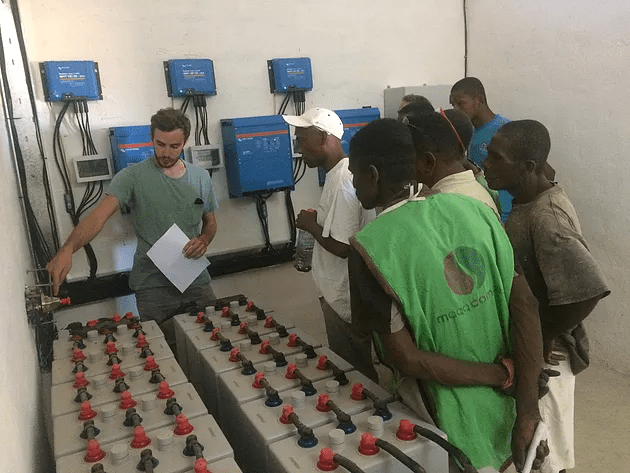 The Mini Green Power management is very proud to announce that Mada Green Power, its branch in Madagascar, is commissioning its very first solar system on the site of the waste reception centre of Tulear ! Déchetterie de Tuléar, Madagascar : Pour consulter sa fiche référence, cliquez ici. Click on the sign or here to see its reference sheet.